This week marked the third anniversary of SmartLabel, which is an initiative enabling consumers access to expanded digital content available for the majority of products in US grocery stores. Detailed product information from more than 36,000 products from over 826 brands are instantly accessible by consumers from either a barcode scan or web lookup. More than a barcode, SmartLabel is a complete framework for getting expanded product information to the consumer. It works when a consumer scans an on-pack QR Code using their smart phone, or scanning the product UPC through the Smart Label app (Apple iOS and Android). This initiative comes in response to consumers looking for and expecting detailed information on nutrition facts, allergy warnings, certifications and ingredient sourcing. 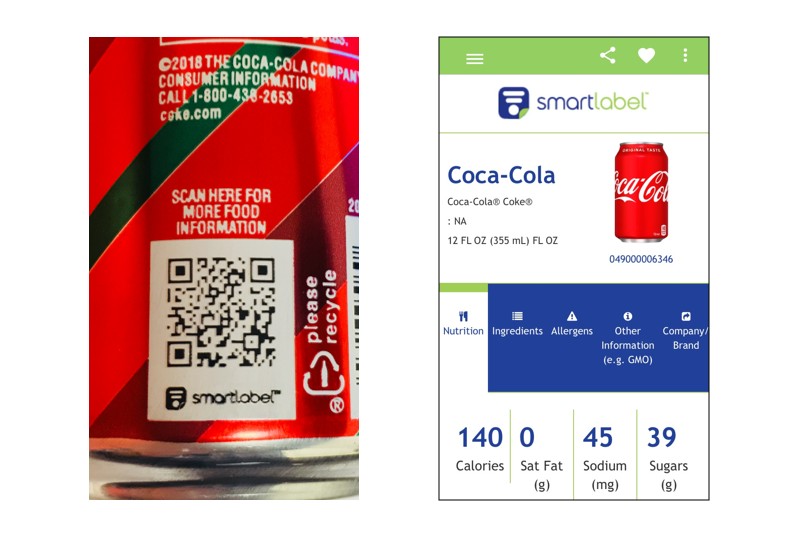 Major brands like Coca-Cola, Kellogg’s, and Proctor & Gamble have already implemented SmartLabel marking to help consumers make informed decisions. For brands that are new to the market, or expanding to national chains, the steps taken by these leading brands should serve as a blueprint. Adopting Smart Label is important not only to keep up, but is also an opportunity to showcase what sets your brand apart. What does your brand do better? Is it the ingredients? Is it how those ingredients are sourced? Is your product better suited for certain dietary or allergy concerns? Maybe it is your company’s initiatives for the environment or the community. Smart Label gives you the space to deliver that message to the consumer, space that you might not have on-pack. 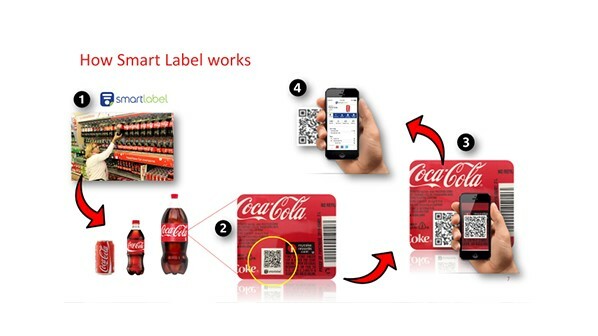 From a barcoding perspective, Smart Label is unique because the consumer is directly interacting with the barcode. Consumers may be aware of other retail barcodes, like UPCs or coupon codes, but these are scanned by dedicated Point of Sale equipment. With SmartLabel, the everything is done by the consumer – on their phone and on their time. So, while SmartLabel promises unparalleled access to a consumer’s attention, it also raising the stakes of failure. Difficult to read barcodes, or ones that point to missing or incorrect data are direct mark on the brand. The brand owner’s responsibility to ensure the barcode scans easily and routes correctly is tremendous, and why Bar Code Graphics has started assisting brands and their 3rd party providers with testing and consultation for their SmartLabel markings. For more information on SmartLabel, please contact Brien Fennell at 800-662-07010 x139 or bfennell@barcode-us.com.